Although he loathes the vile game, Colonel Dirk Allcock has sponsored a team in the New Terra Soccer Cup in the spirit of cooperation and friendship. Also his cousin Commander Matthew Allcock RN assures him that it is a great morale boast for the Royal Navy team that he is sponsoring. The team is drawn from the crew of the HMS Royal Oak, a 6th Rate frigate still fitting out and conducting sea trails in Mooreton Bay. 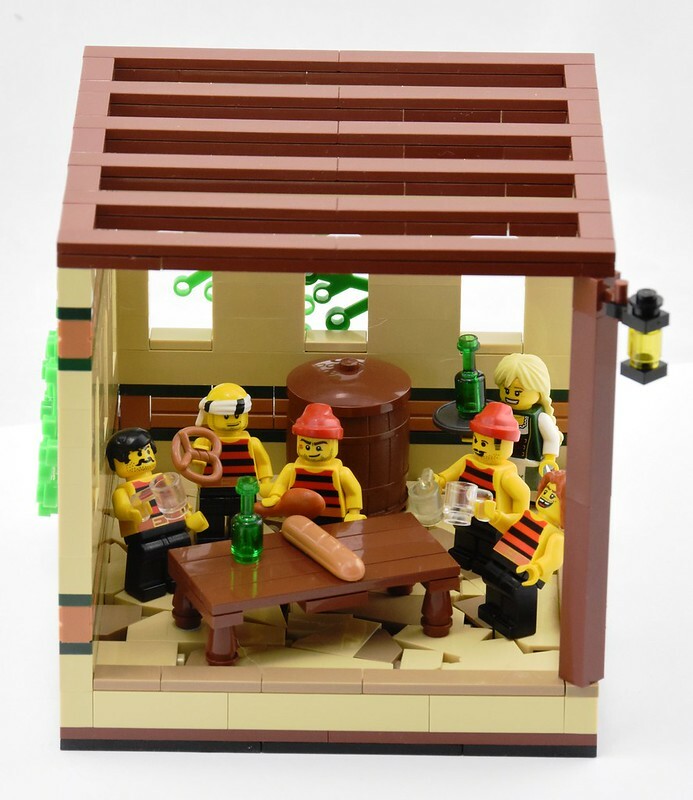 Here members of the squad relax in a beer garden after arriving in Trador. Wow! so many great builds to see here this morning, I'll comment on them all throughout the day! Meanwhile here is my very modest entry in the NTSC as promised! Will be licensed as a small artisan in Trador as per the rules. Good torso selection for the uniforms! And I like the loose mosaic SNOT technique on the floor -- cool effect! Good luck in the soccer cup! Thanks Capt Wolf. If I'm honest the floor is a 16x16 module I keep built up for occasions such as this! Nice bar, like your snot floor and roof, but what arouses the most of my attention is the 6th rater frigate, the royal navy is building up its fleet, I should notice that. 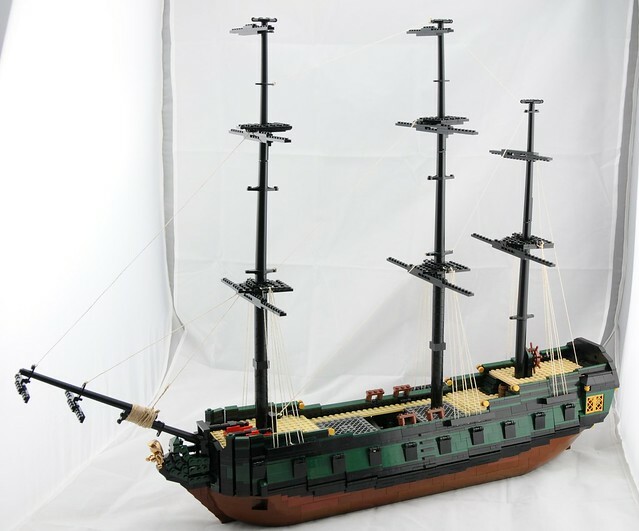 That's a nice frigate, very well built, and I like the green belt, a nice variation from the usually used yellow or red. Can't wait to see her finished, I mean when you have time to make the sails. 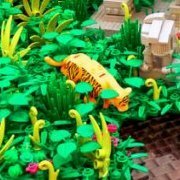 Very cool entry Ayrlego! Small yet packed full with nice building techniques (like the amazing floor). This scene is full of action and great minifigure posing. I can tell this isn't a build you spent alot of time on as it misses some of the texture you normally insert into your builds, however, I could only wish that my quick or even medium speed builds looked this good at the end. Great job!